Tucked away at the end of the road offering privacy and views of the tranquil waters of Squaw Lake. 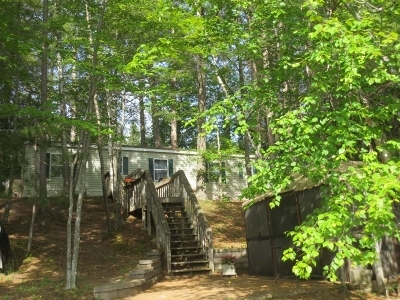 Find yourself looking forward to the weekends to escape to your lake home where you can enjoy the peace and quiet. The lot is nicely wooded and at the waters edge you will find a gazebo, a fire pit area and pier. Take a swim in the lake with the sandy shore or grab your fishing pole....or do nothing at all but enjoy beauty and sounds of the Northwoods.